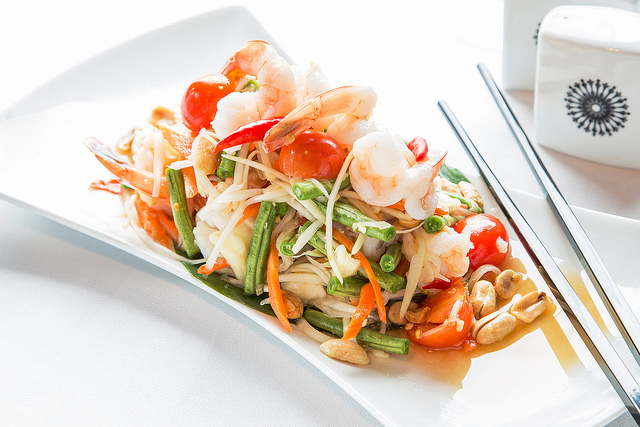 Thai Green papaya salad (Som Tam) with prawns and peanuts is a spicy and very tasty salad. Want to prepare it at home? Chef Sanya from the award winning Thai restaurant (The Royal Budha) is sharing his special shrimp and papaya salad recipe here. Watch step to step video guide to prepare delicious salad in an easy way your own.